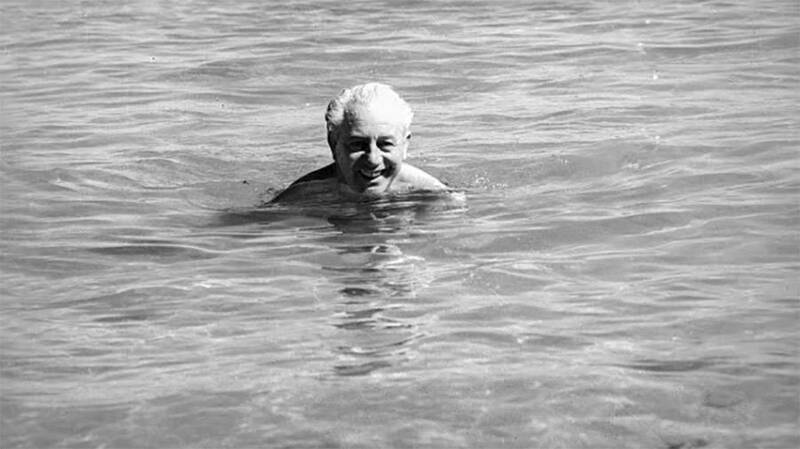 Harold Holt was prime minister of Australia for less than two years before he went for a swim and never came back. It happened on Dec. 17, 1967, at Cheviot Beach in Victoria, Australia. The four others Harold Holt was with had planned on going for a swim as well, but after noticing the high tide and strong undercurrent, they decided against it. Holt, on the other hand, is quoted as saying, “I know this beach like the back of my hand,” before striding in without pause. 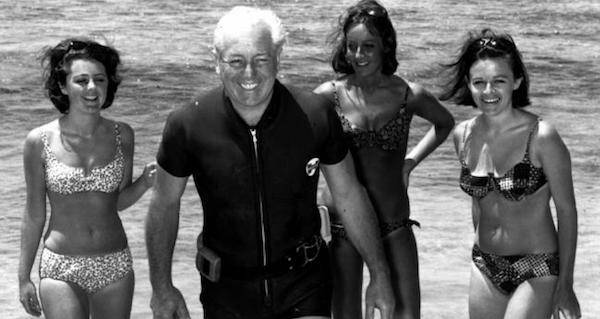 Considered a charming and adventurous man, Harold Holt took office as the 17th Prime Minister of Australia in 1966 when he was 57 years old. His popularity as a politician took a dive when he found himself wrapped up in several controversies. He made a number of embarrassing public blunders, accidentally misinformed Parliament about information involving the misuse of a VIP aircraft, and was criticized for being weak by members of his own party. Then there was Holt’s personal life. He was married to Zara Dickens, a successful businesswoman who he met when they were both students at the University of Melbourne. However, it was speculated that he was having an affair with a woman named Marjorie Gillespie. Gillespie was also the last person to see Harold Holt alive and years later she confirmed the affair. There was also Holt’s strong stance on the Vietnam War as he was a strident supporter of Australia’s involvement. As polls began to show a shift in sentiment towards the war with more people unsupportive of it, Holt was seen as a poor decision maker. It turns out that his poor decision making may have also been his undoing. On that December day, Holt made his way into the choppy waters as Gillespie continued to watch him swim further and further out until it seemed as though the water around him was bubbling. Then he was out of sight. The others in the group he was with took to nearby cliffs to scout him out but were unable to spot him. Alan Stewart, one of the four other people there that day, went to get help and returned with three scuba divers. The divers attempted to search for him, but the undertow was too strong, even for them. 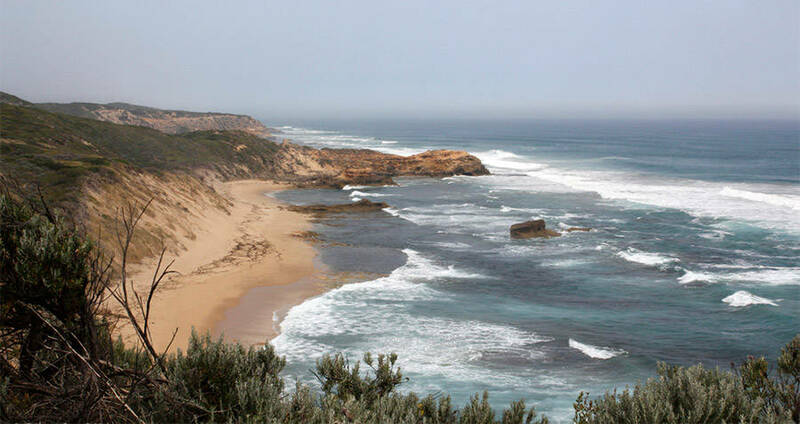 Wikimedia CommonsCheviot Beach, the site of Holt’s disappearance, faces the Bass Strait separating Victoria and Tasmania. This launched a massive search operation, still one of the largest in Australian history. There were 200 personnel from the Navy, Army, and Coast Guard. Helicopters hovered above. Still, the operation was unsuccessful — Harold Holt’s body was never found. In January of 1968, without an official cause of death, the Commonwealth and Victoria Police put out a joint report on Holt that concluded, “there has been no indication that the disappearance of the late Mr. Holt was anything other than accidental.” Which was sure to leave everyone satisfied. Except not. Theories flew all around. Some thought it was a suicide; others believed it was a CIA assassination. There was the possibility that he faked his own death, and of course, the conspiracy theory that he was picked up by a Chinese submarine. While some theories were more outlandish than others, the inability to find a body despite the massive search party still leaves people questioning the incident today. His disappearance also made Holt the third Prime Minister to die in office. Holt’s family members, namely his son Sam Holt, are quick to dispell any conspiracy theories. According to them, he was a natural risk-taker. “Harold is not a person who feared for his personal safety. He never was; he would swim in ­places and times when others wouldn’t,” Sam Holt told a reporter. The Harold Holt Memorial Swimming Centre was named in his honor as a commemoration. Which can be considered a sweet sentiment, but to those in the conspiracy theory camp, it may be a bit too on the nose. For a more uplifting swimming story, read about Diana Nyad’s 111 mile swim, then take a look at four of the most enduring conspiracy theories.